Today, Mindshare, part of WPP, and Tommy’s, a charity funding research into baby loss, launch a campaign to challenge the cultural silence around the issue using one of the loudest tools at our disposal: social media. At a time when we are more connected than ever before, there remains a deafening silence around baby loss – despite the fact that one in four pregnancies end in loss, and half of those losses go unexplained. This silence is compounded by the presence of the “perfect pregnancy” online; research by Tommy’s has found that 66% of those who experience the tragedy of loss felt bombarded by pregnancy-related news online, and 80% felt jealousy towards pregnant friends. 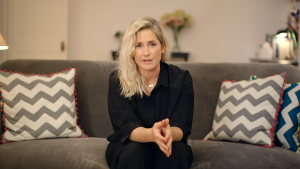 Mindshare and Tommy’s have sought to flip this narrative, leveraging social media to create a peer-to-peer support network and de-stigmatise the grief that follows baby loss. The campaign, linked across social with #togetherforchange, will kick-start awareness of the issue with a video on Facebook and Instagram, following the journey of an expectant mother through texts, tweets and status updates as excitement turns to grief when her pregnancy ends in loss. The video will facilitate the creation of a peer-to-peer support network across social by encouraging viewers to share their own experiences, and driving them to Tommy’s #TogetherForChange Campaign Hub for more information, support and advice. 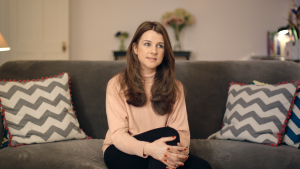 Here, visitors can listen to the experiences of others in the public eye who have experienced baby loss, including celebrity mums and influencers such as Giovanna Fletcher, Marina Fogle and Anna Whitehouse. They can also connect to each other by sharing their own stories, joining Tommy’s new Facebook peer-to-peer Group and accessing Tommy’s research and clinical trial information.